‘Moment to Moment’, is a documentary film about the Gloaming. 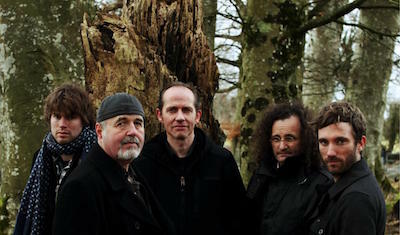 Audiences love them, critics heap praise upon them, and peter Gabriel describes them as having created a new genre; they are a group of five outstanding musicians collectively known as the Gloaming. For martin Hayes, Iarla Ó Lionáird, Caoimhín Ó Raghallaigh, Dennis Cahill and Thomas Bartlett, the interpretation and performance of Irish traditional music is at the heart of their creative expression as musicians. martin, Caoimhín and Dennis have been recognised for balancing traditional rigour with an energy that seems entirely new. Thomas has been identified with the independent rock scene for his work with artists as diverse as the National, Glen Hansard, and Antony and the Johnsons. Iarla has made many ground breaking recordings with the Afro Celt Sound System, his distinctive voice venturing far beyond the boundaries of any one genre. The film depicts the Gloaming working together in Grouse Lodge studios in County Westmeath, Ireland. Later in the year, they were filmed in concert at the Triskel in Cork. The film reveals the profound connection between them as players and as players with their audience.